We at British Fitness believe in keeping active and healthy; whether this be intense, regular or casual training or even just, going for a walk or taking the stairs, we find there is always an opportunity to push yourself that little bit more and usually feel good about it. We specialise and focus in supplying strength and weight training equipment for the professional user and proudly supply professional athletes, body builders, fitness models, personal trainers, sporting and fitness clubs, charities and many many professional home gyms. 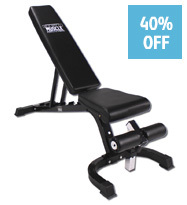 If you find it in our store you can be assured we have taken the time to choose every single item based on its abilities to perform a professional workout; performance is at our heart, whether it be a bench, a rack or just a set of weights we test every single item before we even consider selling it and if it not up to the job we will not stock it! To all of you - Thank you and Happy Training! We ship all orders received by 11am the same day, all orders will be sent on a 24 hour next working day service and upon dispatch we will email you with your full VAT invoice along with your tracking information so you can keep an eye on your delivery. When you make a purchase from our website, we do collect certain personal information from you (for example: your name, email address, payment address and details). All such information is held on secure servers. British Fitness complies fully with all applicable Data Protection and consumer legislation, and we’ll treat all your personal information as fully confidential. If you have accidently purchased the wrong item or chnaged your mind we offer all items with a 30 day returns policy, just let us know and we can either arrange for them to be collected from (charged at cost of shipping) or you can ship them back yourself. For the easiest way to order, simply add your items to you cart, you can call us up to order over the phone as well if you would liek to speak to someone or if you have any technical questions. We accept all major credit cards, paypal, cheques and wire transfers (for wholsale account holders), we reserve the right to withdraw any offer at any time and all offers are suject to stock availaility. All items, unless otherwise stated are held in stock in our warehouse in the UK. Log in to your account to view all your current and past orders. To update your account simply log in and make your changes, if you have any probelms please feel free to just give us a call and we can help you!